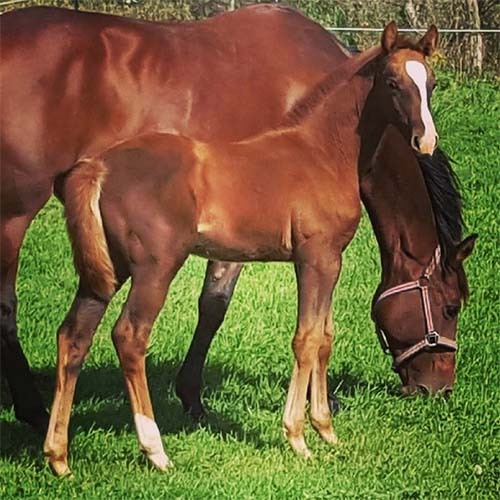 Promising Filly by Rascalino, out of a Trakehner Mare (Feuertänzer/ Abdullah). Rascalino is by Rotspon (Hanoverian Stallion of the Year 2017) and was the winner of his Stallion Performance Test in 2004. Upper level movement with amateur brain, super prospect for any discipline! Born July 21st, 2018. Very pretty, sweet and correct. 10k registration included (CWHBA), and very reasonable young horse board available if desired. Located outside of Stratford, Ontario.